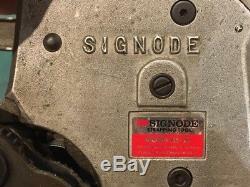 Used Signode manual combination tool - strapping machine - Model AS-M. 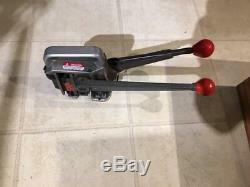 This is an industrial quality tool for securing plastic strapping around boxes or parcels. 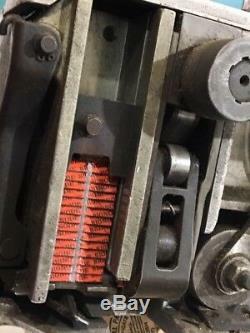 The tool combines the tensioner and the crimper into a single unit with magazine loaded metal seals that automatically feed into position when the tool is used. 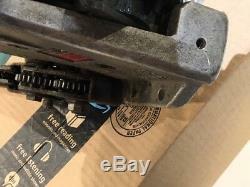 One handle ratchet tensions the strapping, then the other handle crimps the seal and cut the banding before loading the next seal into position for the next package. For use with 1/2 Dymax, Contrax or Tenax type strapping. 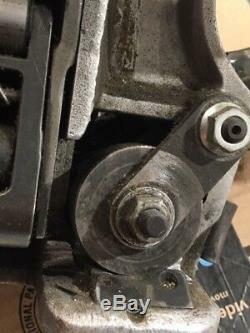 Operations and parts manual is included. Tested and adjusted - confirmed to be working as intended. 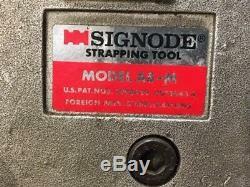 The item "Signode AS-M Manual Strapping Machine for Plastic Strapping" is in sale since Saturday, January 19, 2019. This item is in the category "Business & Industrial\Material Handling\Packing & Shipping\Filling & Sealing Machines\Strapping Machines". 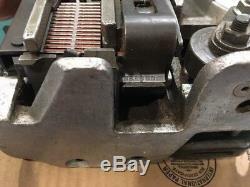 The seller is "rocketeer54" and is located in Oxford, North Carolina. This item can be shipped to United States.